The rand strengthened further on Monday after Moody's Investors Service held off on its ratings review of South Africa on Friday. By 10:04 the local unit was trading 0.41% firmer at R14.45 against the US dollar, despite the dollar firming somewhat on risk-off sentiment. Last week, the rand rebounded sharply following lower-than-expected CPI figures from the US as well as a decline in US stocks, following volatile trading amid a change in finance ministers. The appointment of Tito Mboweni in place of Nhlanhla Nene as Finance minister, however, reassured markets. "On Friday, the much anticipated Moody’s ratings announcement was postponed, buying South Africa more time to bolster key measurement criteria, such as policy stability," said Peregrine's Bianca Botes in her daily market commentary. The ratings agency did not say when it will announce its credit ratings decision, but speculation is for a decision after the Medium Term Budget Policy Statement on October 24. Moody's was the only major ratings agency not to downgrade SA sovereign debt to junk status in 2017. It is currently rated at Baa3, the lowest investment grade. On Friday, the local unit was one of the top-performing emerging market currencies amid a rebound in local share and bond prices. 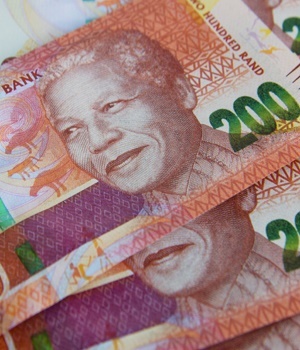 NKC Africa Economics expects the rand to trade between R14.40/$ - R14.60/$. Meanwhile gold held onto last week's gains and was trading at $1 222/oz on Monday morning. Oil was selling for $81.50 a barrel as US/Saudi tensions impact the market, according to TreasuryONE. The currency dealer is keeping its eye on the lira as Turkey on Friday freed an American pastor imprisoned for nearly two years, buying some goodwill from the US.